Cities can move beyond the role of data supplier—and foster a “data-to-action” pipeline. Problem: As cities increasingly make their data open and available to the public, governments hope their partners and residents will make use of that data to improve life for all. But for this “open data” to achieve its full potential, governments need to build long-term collaborative models with local partners to build capacity and ensure that data can reach where it’s needed most. Solution: Reboot worked with the Sunlight Foundation and the City of Madison, Wisconsin to investigate who in the city is best positioned to use open data to solve problems in making equitable development to neighborhoods. 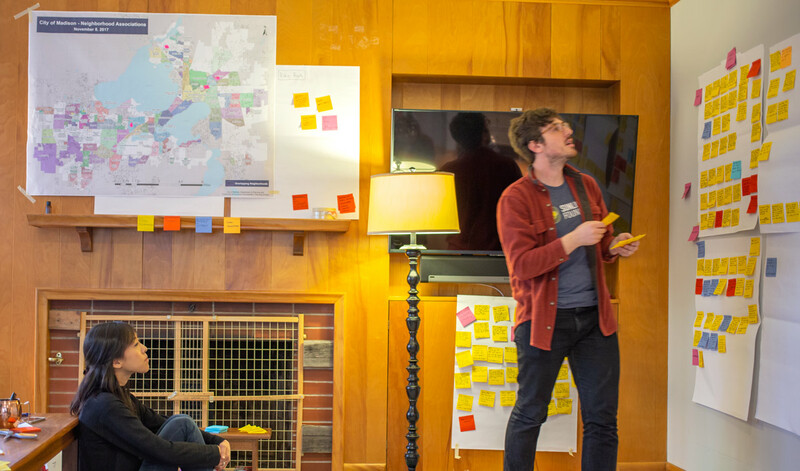 We developed clear, visual tools that help the City identify the best ways to connect with and support these champions moving forward. Read our report about Understanding Madison’s Data Users. The City of Madison wanted to push its open data work forward. Since establishing an open data policy in 2012, the City has made 136 datasets available. But that data has been used only minimally by local residents and community groups. Local residents identified neighborhood-level equity as a priority for the City to pursue. Through the Imagine Madison process of citizen engagement, the City saw that, while Madison is often ranked highly for quality of life, amenities are not equitably distributed. People of color are especially removed from access to services, public space, affordable housing, and multiple transportation options. Reboot supported research into how open data could support equitable development. When Madison engaged the Sunlight Foundation to apply its Tactical Data Engagement strategy and find ways to generate demand for open data, Reboot supported the project in a targeted research phase to respond to neighborhood development concerns. 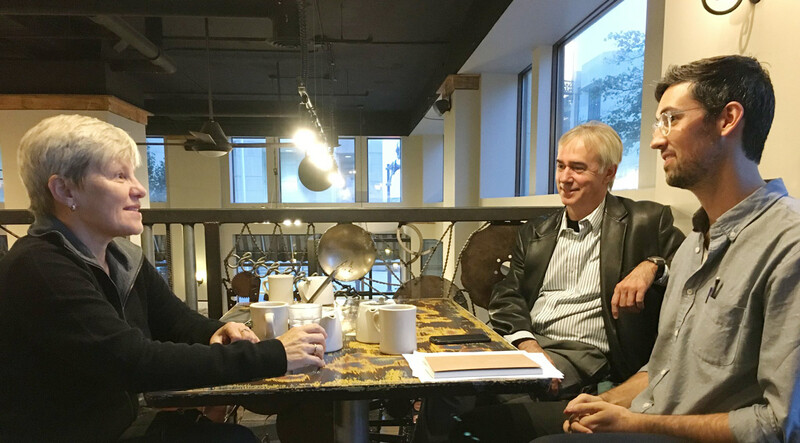 Reboot’s expertise with not only open data, but with fostering collaborative ecosystems for impact, helped the Sunlight Foundation and the City of Madison develop a cohesive understanding of the landscape and opportunities in a short amount of time. 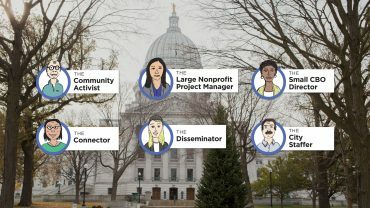 We conducted a two-week research sprint on-the-ground in Madison, speaking with 36 people—starting with those closely connected to City government, and then taking their recommendations for deeper networks of neighborhood activists, neighborhood associations, journalists, academics, and non-profit and community-based organization staff. We also spoke with City staff, and observed four community events. 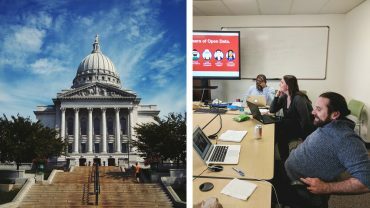 We developed a picture of how people in Madison use data, how they think about the City’s Open Data initiative, and what gaps exist that might be bridged through data to create impact. Based on this evidence, we developed a set of visual tools for City stakeholders to use in designing their next steps. 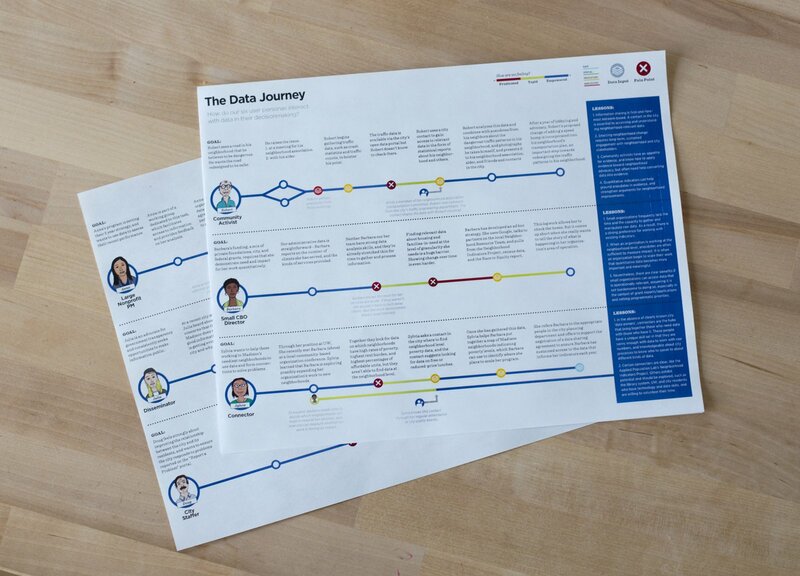 Through user personas and user journeys, we offered accessible and illustrative examples of the uses, challenges, and opportunities for applying open data in Madison, and we created a set of concrete recommendations for the Sunlight Foundation to pursue in collaboration with the City. User journeys developed through the research process. We showed that small, community-based organizations who do the “last mile” work in underserved neighborhoods could benefit from data. These short-staffed and under-resourced organizations could use data in their grant applications and reports, which are vital to their continued operations; data could also help make evidence-based decisions about where to direct their limited resources and how to best target and even scale their work. Connecting these organizations to “data connectors,” who have facility with open data but few networks at the neighborhood level, is one key way to extend the use of open data far beyond its current reach. Our recommendations helped Madison strengthen its data ecosystem. Our work shows that data works best as part of a web of action. By strengthening relationships (through networking events, direct introductions, and stronger community of practice), the City can develop a more robust ecosystem in which more local community-based organizations and data connectors have the opportunity and capacity to take action.